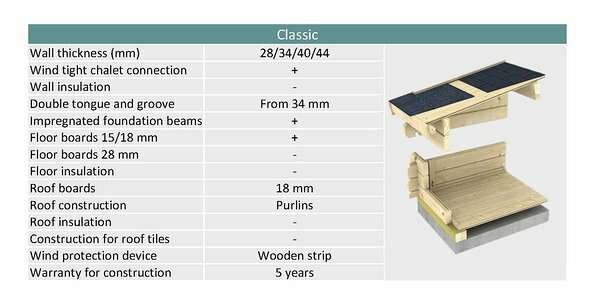 We offer wide selection of garden buildings in excellent Nordic quality with wall thicknesses from 19 mm to 94 mm. 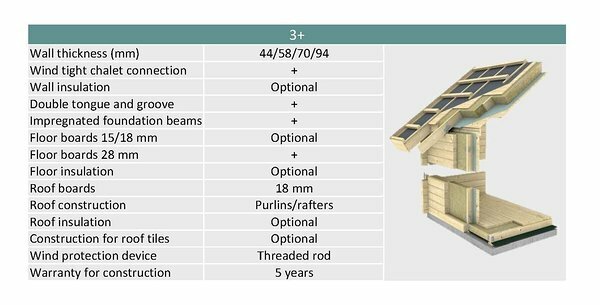 The wall logs of our garden houses are made from windproof angle profiles with wind-tight chalet connection, making the corners of garden house wind and rain resistant. Impregnated sub-construction protects the building against humidity and extrents its durability. 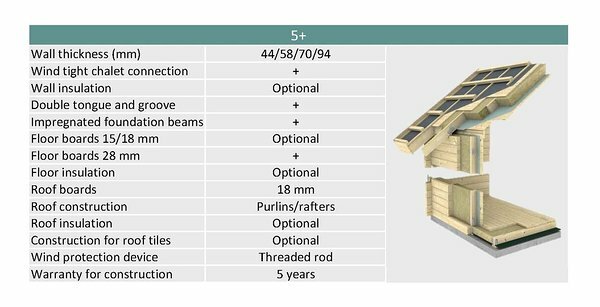 All the floor and roof boards, fillets, beadings and mouldings and hardware are part of the delivery contents.